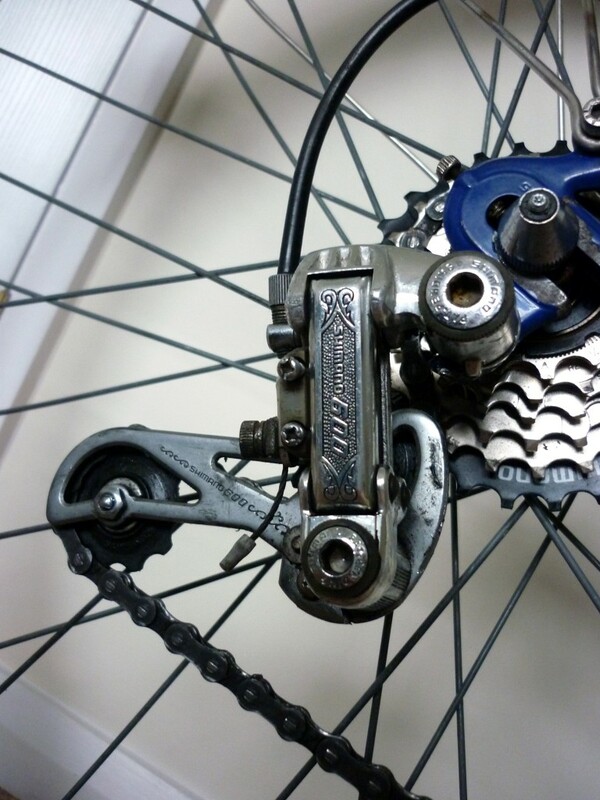 The spec is 22 1/2″ frame size with 22 1/4″ top tube, 14 3/8 wheel clearance. 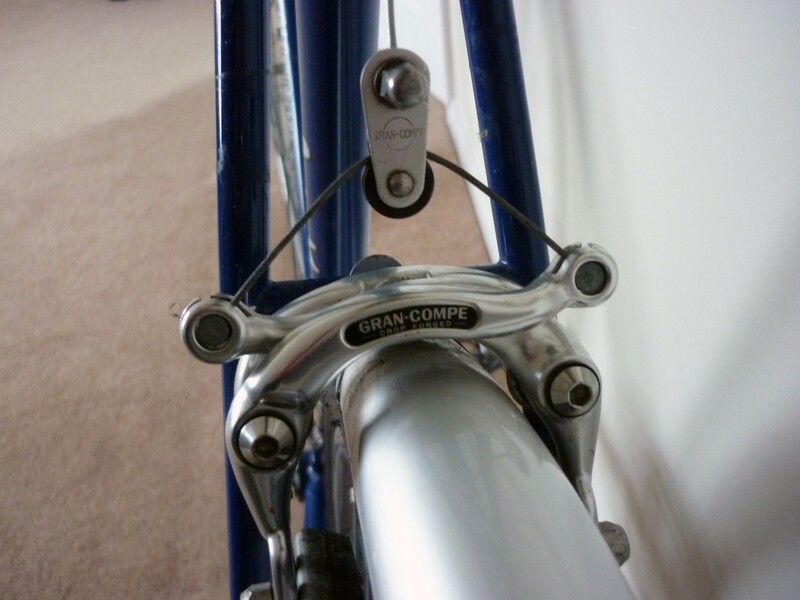 Top tube and seat tube angles are 73 degrees parallel. 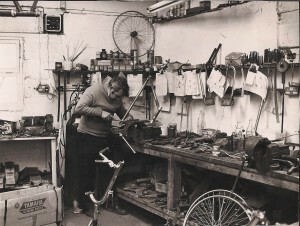 The bike was specifically built and assembled for Judy – 5′ 8″ but with small feet! 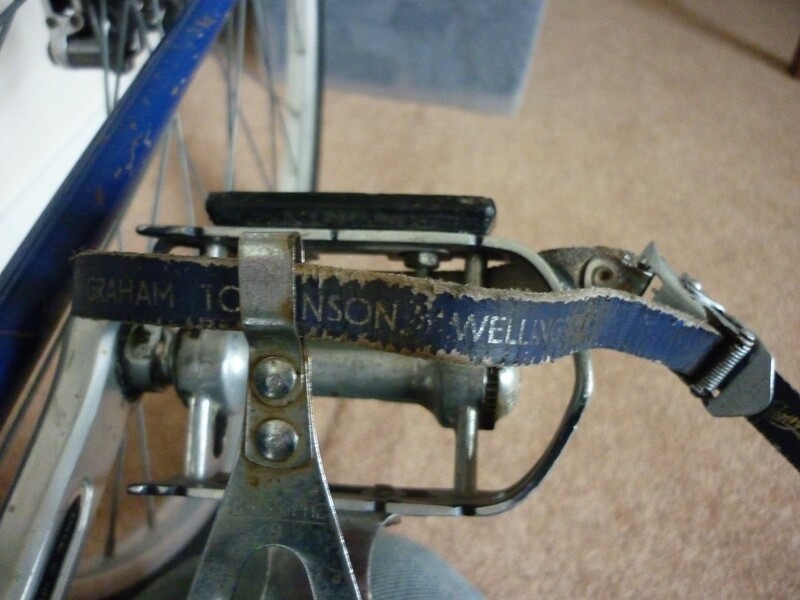 The bike was regularly used to carry their daughter in a bike seat. 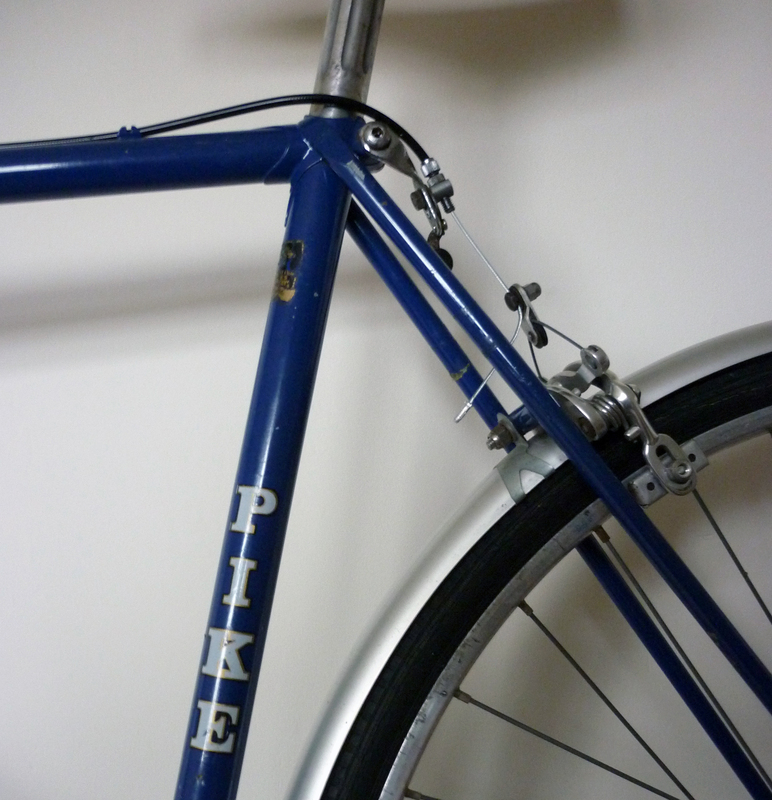 This was later superseded by a hand built trailer with a single wheel. This was constructed by Hannington’s of Reading. 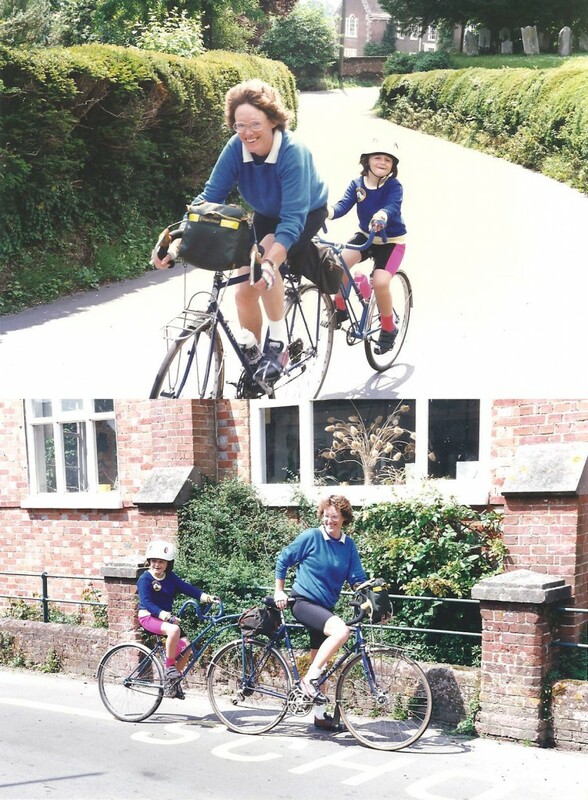 Judy enjoyed doing 100K Audax events with a child on board! 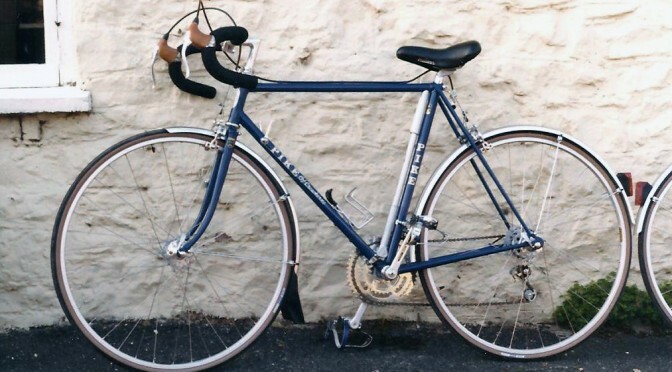 The bike was also regularly used for touring, commuting and shopping. 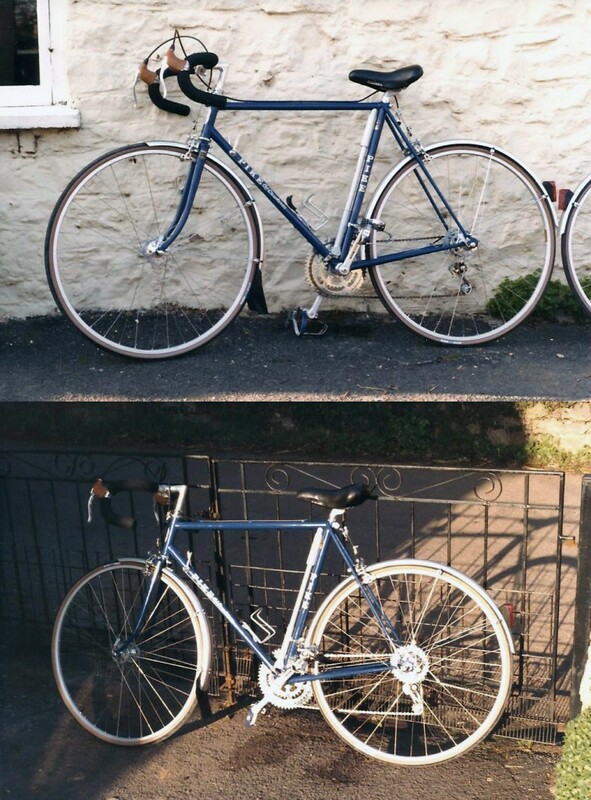 Judy’s bike when brand new! 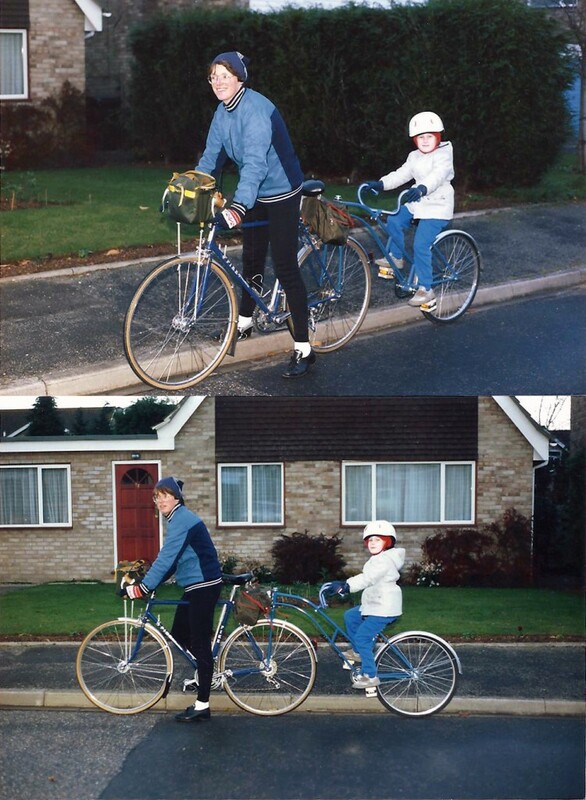 Judy with the newly bought trailer bike and her son, then aged five. 1988. Judy’s bike as a solo again, after the children had outgrown the trailer bike and tandem conversion. 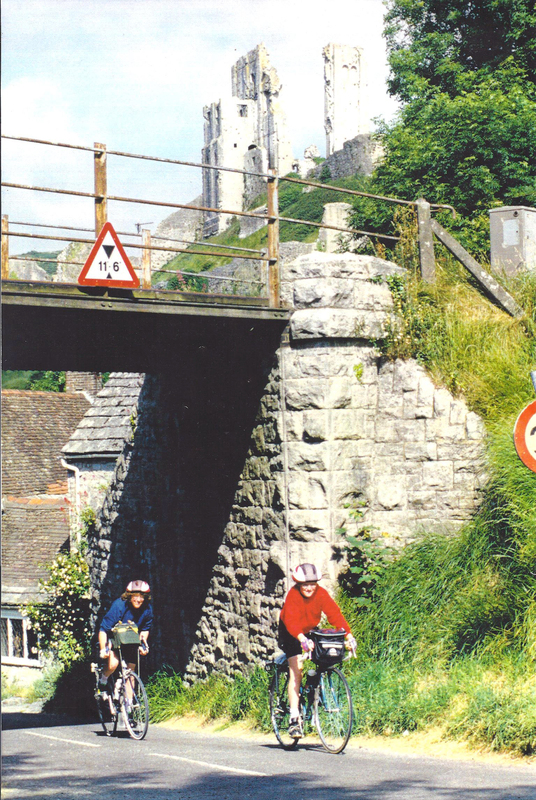 It was taken at Corfe Castle on the ride to launch the Purbeck Cycleway in 1995. 47 miles. 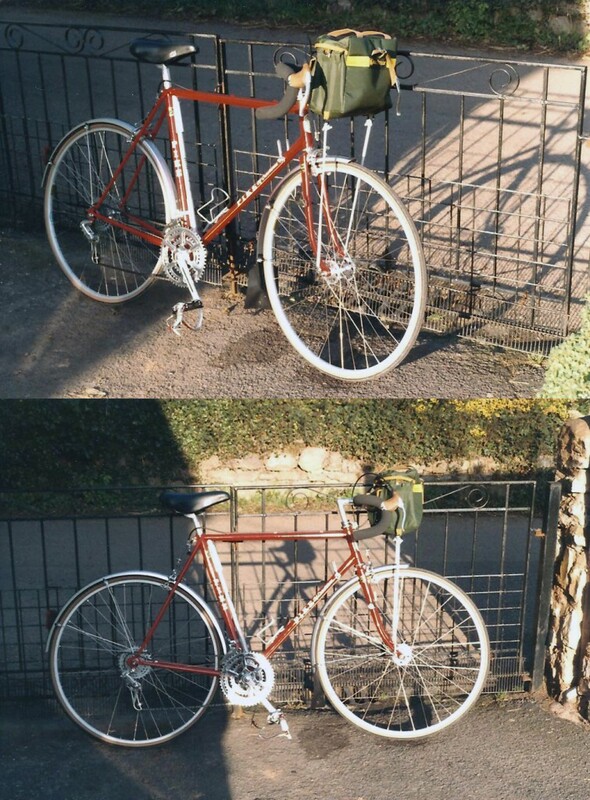 What is the next chapter for this particular bike bike? 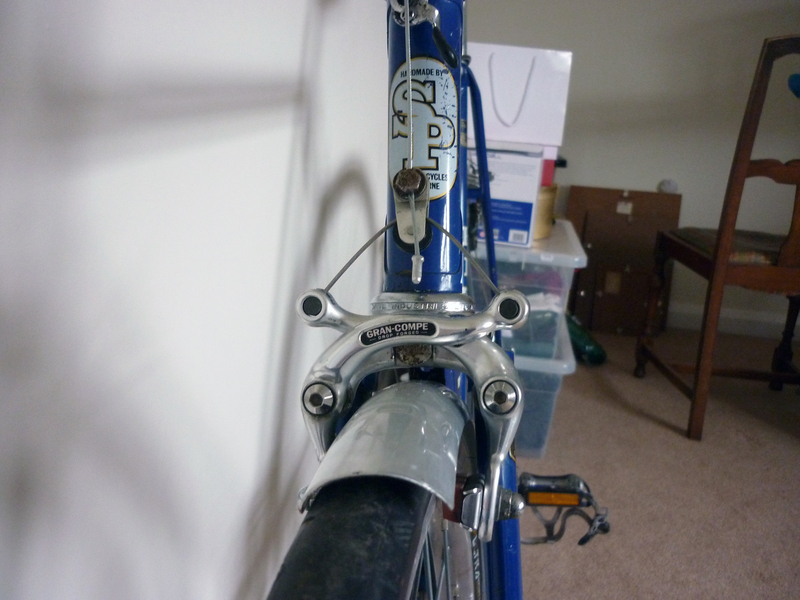 I have sorted it out mechanically and it rides beautifully. I have made it look nice without trying to sort out any scratches. I wanted to keep it authentic. 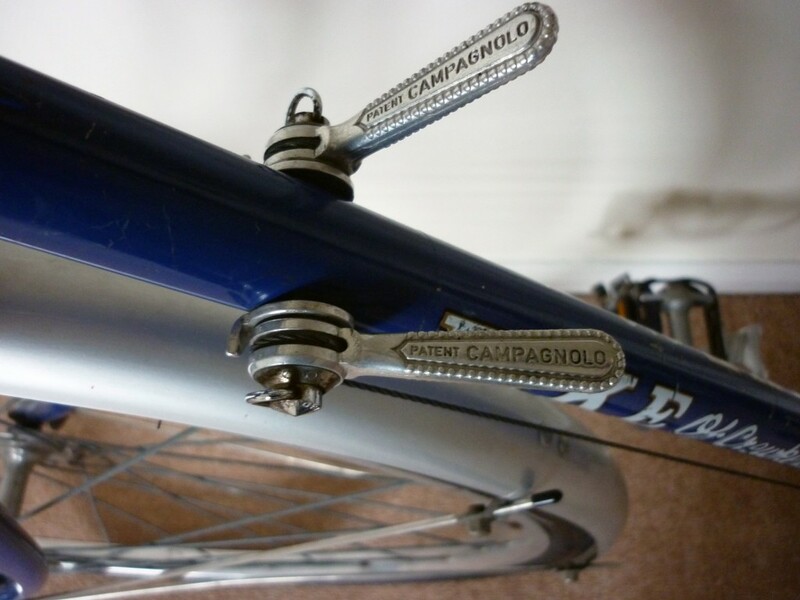 I was going to ride L’Eroica on it but I fear it is a tad small for my 5’11 frame. 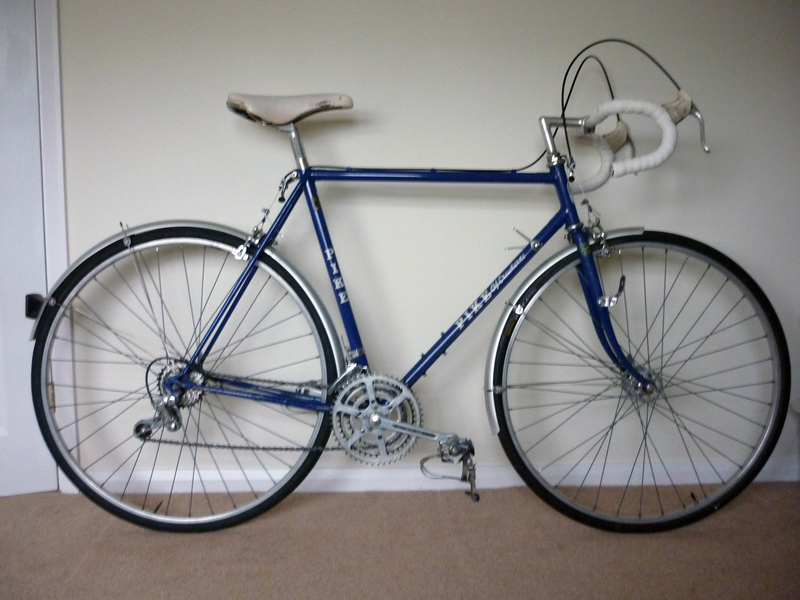 So come the spring I shall reluctantly launch it on it’s next phase of ownership – probably via Ebay. 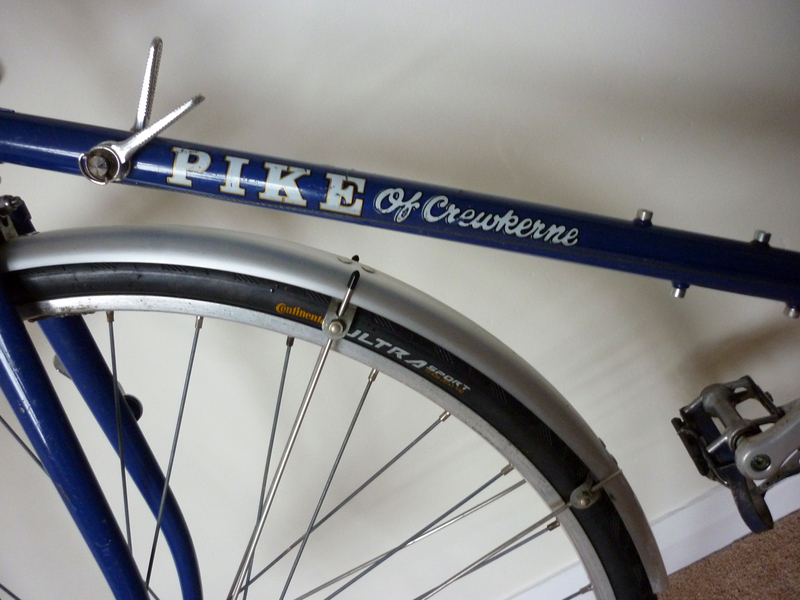 These very well made Pike bikes were built to last!